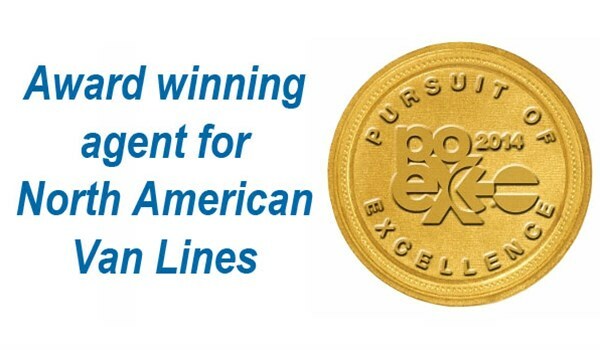 Allen & Coles Moving Systems is proud to announce that we have received the 2014 Pursuit of Excellence award from North American Van Lines, Inc. (northAmerican) and the North American Movers Association (NAMA). "Our Pursuit of Excellence winners personify our van line's strong commitment to provide our customers with a consistently exceptional level of service. Our organization is exceedingly proud to have these high performers as part of the North American Van Lines family," adds Andy Kroll, Vice President and General Manager for North American Van Lines. Allen & Coles Moving Systems would also like to thank all of our team members that continue to work hard every day to help us achieve our accomplishments as a company.